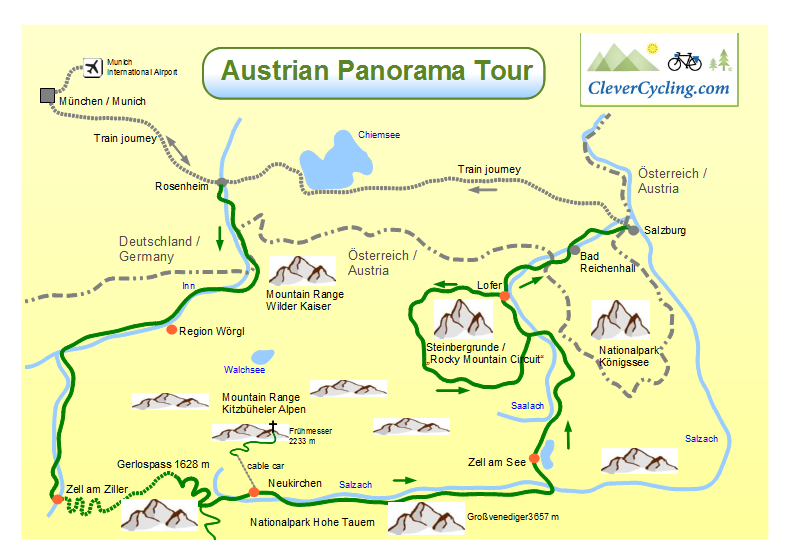 Rightly for many people the most beautiful cycling tour in Austria! 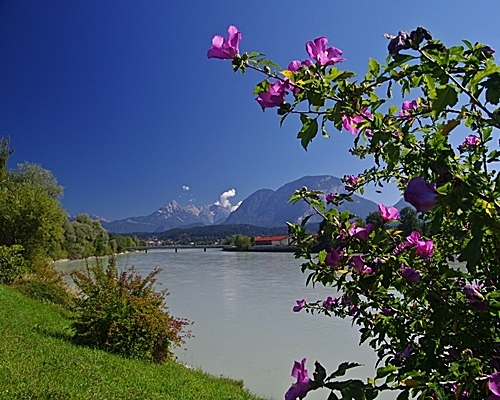 Magnificent route, fantastic alpine views, idyllic mountain-villages and finally the glorious “Mozartcity” Salzburg. The best: Traveling in small group with a professional tour guide – and improved service. 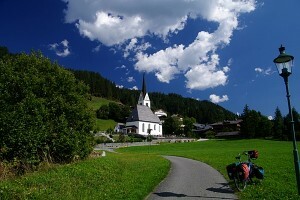 This unique bicycle tour takes you through one of the most beautiful areas of the Alps. 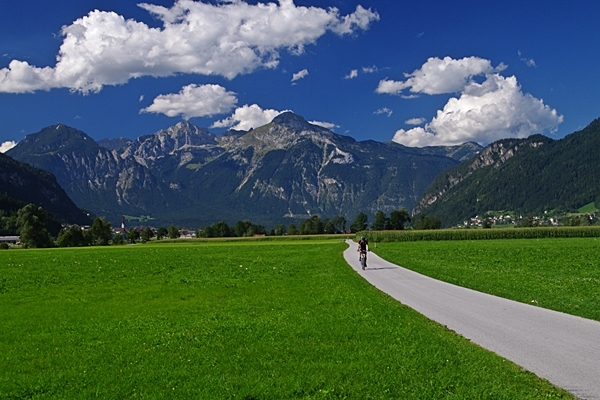 On lovely, quiet cycling paths you will experience every day another mountain panorama. Meet your tour-guide at Munich Central Station at 9:00 clock. Come with your complete equipment including your own bike or rental-bike. If you need a rental bike; your bicycle is ready for pickup at 8:00 clock in our rental station, located in the Munich Central Station. The first section we travel together with a modern train from Munich to Rosenheim. The train journey to Rosenheim (duration: 45 minutes) we use for a meeting about the trip. 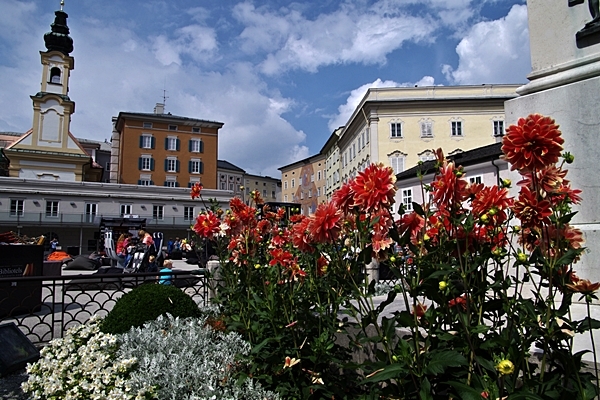 The historic center of Rosenheim is worth for a short visit. 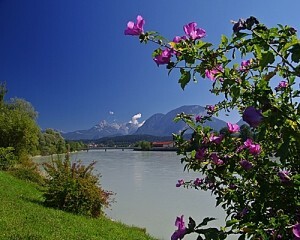 Then we follow a very quiet and flat (car free) bicycle paths along the river Inn to Austria. The view of the Alps gets better with every kilometer. 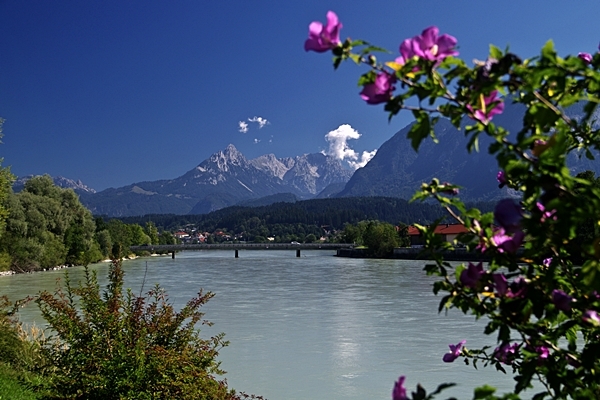 In the small town of Kufstein we make a stopover. The old castle above the old town is very impressive. The last 15 km / 9,3 miles are relaxed cycling on still good cycle paths. After a good “Alpine” breakfast we’ll begin our ride along the wide Inn Valley. The mountains rise up over 2000 meters / 6600 ft. In good weather, the magnificent mountain panorama remain throughout the whole day. In the afternoon we will see the first mountains over 3000 meters / 9850 ft in height. The best is the Cycle route. Almost all the way flat and mostly without car traffic! We’ll start our trip after an excellent breakfast (buffet). Right at the beginning a major obstacle awaits you. The mountain pass road up to Gerlos (maximum height 1652 m / 5420 ft, height difference 1050 Meter or 3445 ft!) is very steep (up to 15 %), narrow and busy. 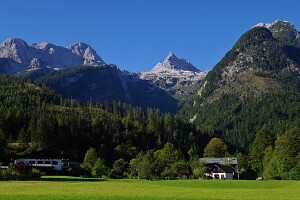 Cycling to the village Königsleiten is no pleasure. Therefore we have a bus-taxi transport (including the bikes) up to the mountain-village Königsleiten. From here you have a magnificent view of the surrounding peaks. From the mountain-village we ride about four kilometers “pleasant” uphill to the pass. From here you enjoy the next fantastic panoramic views the famous Krimml waterfalls and the glacier-mountains. The “Krimmler Wasserfälle” are Austria’s highest waterfalls with a total drop of 385 meters / 1263 ft.
A fantastic 8 km descent awaits you. 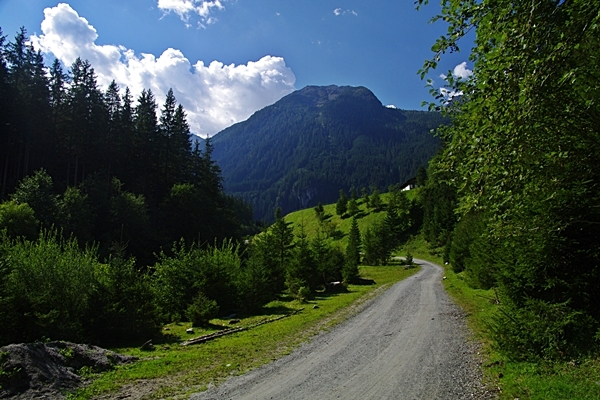 A total of 11 curves, partially hairpin turns, leading you down the mountain village Krimml. Desire for a spectacular variant? We decide together whether we ride into a magnificent alpine valley. For the first gradient a good physical condition is necessary. The rest is enjoyment. We offer a great alternative for that day. 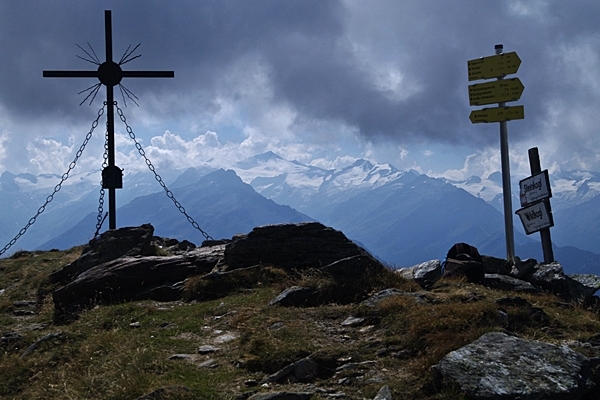 We take a cable car up to 2050 meters / 6725 ft. From the top you have a fantastic view of the largest glaciers in the Hohe Tauern National Park. An easy walk leads to a 2233 meter / 7326 ft high peak. The alpine scenery is a beautiful contrast to your cycling trip through the Alpine valleys.The photo here is an original image from the summit with a view of the Großvenediger (3666 m / 12.030 ft). We will always be asked: Is the hike difficult? Well, even sheeps “climb” up there! Only for the last steps to the top you should be “sure-footed”. 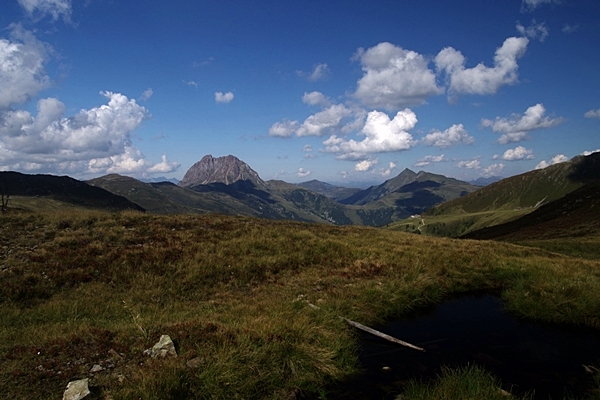 By the way: For this tour you can test hiking shoes – free of charge! In the afternoon return to the valley also by cable car. Duration for this trip about 5 hours. A very good breakfast gives you energy for the day. We start our tour by winding through quite cycle paths. This usually very flat stage leads us through several picturesque mountain villages. At high temperatures, we can cool off in some small lakes. Particularly worth seeing is the National Park Centre in the small town of Mittersill. The modern building offers many interesting information about the largest national park in Central Europe. We’ll overnight in Zell am See, a small town on a lake, of course with amazing views. The first kilometer lead distinctly romantic along the lake. The more we go north the mountains are more “pointed”. We come back to the Limestone Alps. Sky high rock walls rise up over the green valleys. At best cycling routes we’ll experience this amazing landscape. Several gorges and caves can be visited near the route. One of these is the cave Lamprechtsofen. Across easy rising steps enter the biggest cavesystem in Europe and it is said to be the biggest walkthrough cave system in the world! 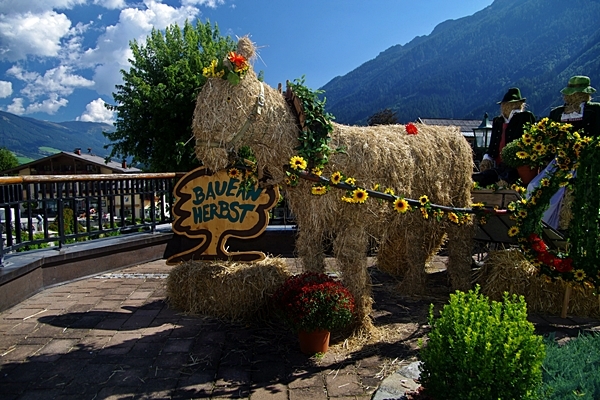 Your stage destination is a small mountain village in a beautiful location at the foot of high limestone mountains. We continue cycling through gently rolling terrain. The “Rocky Mountain Circuit”, locals refer this trip “Steinbergrunde” is a wonderful scenic tour around two very high mountain ranges. 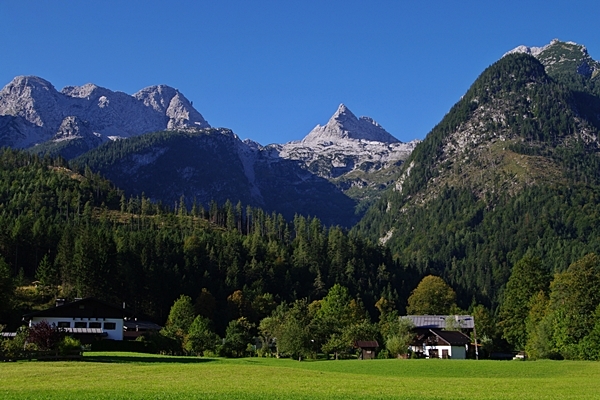 On a beautiful route you will experience once again an enchanting alpine landscape. 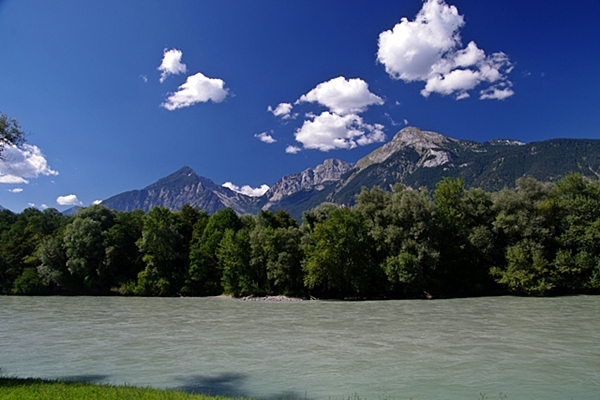 Narrow river valleys, two small lakes and the world famous biathlon center in Hochfilzen are the highlights of this tour. A total of 24 unique sculptures along the route give the trip a special touch. In the afternoon we visit a spectacular gorge along the course. The first part of this final stage is very scenic. 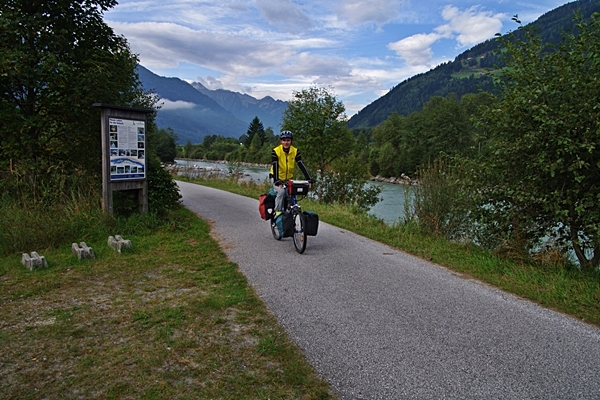 Through the narrow valley of the river Saalach leads you the varied cycling trail over the border back to Germany. After 30 km we’ll ride through the famous spa town of Bad Reichenhall in Bavaria. This small town is also known by its large salt mine. 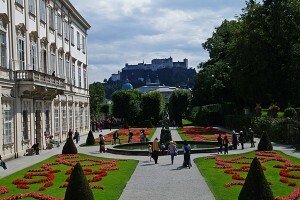 On comfortable bike paths finally we come to the Mozart city of Salzburg. Salzburg is considered the most bicycle-friendly city in Austria. Here ends your fantastic bicycle journey through the Eastern Alps. We head together with a modern train back to Munich. Duration of the train journey 2:10 hours. Arrival in Munich around 18:00 clock. Now is the time to say farewell to the other participants and the tourguide. Desire for something distinctive? Do not hesitate and make your registration. Per person: € 780 * / Notice: Only double room available!